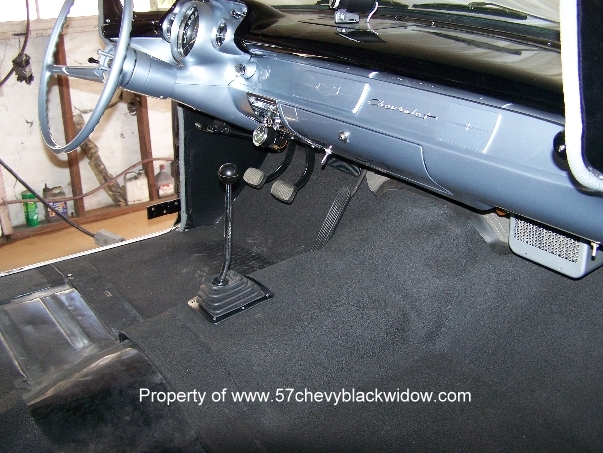 Back in 1957 most stock car racing tracks were dirt, anything hanging down from under the car would be damaged due to the ruts. 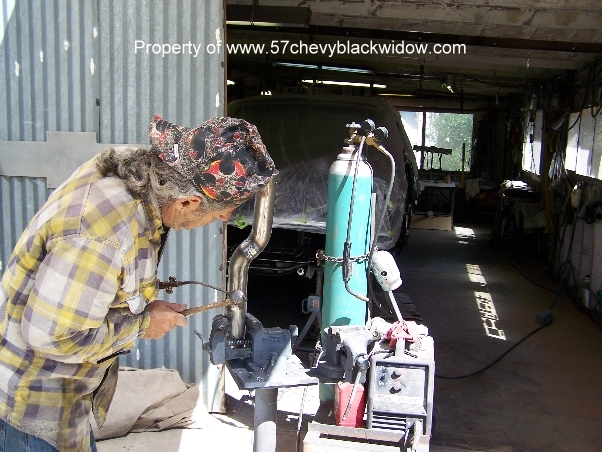 In photos #601 thru #604 you will see how "Old Guy Scott" makes the tail pipes step around the frame and exit in front of the rear tires. 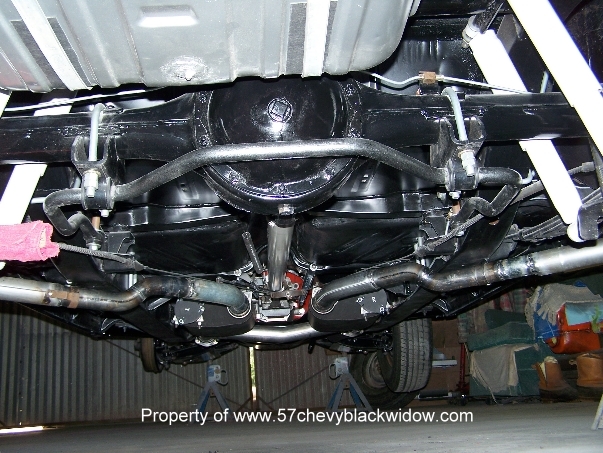 Some "Black Widows" went through the frame and some used this setup. 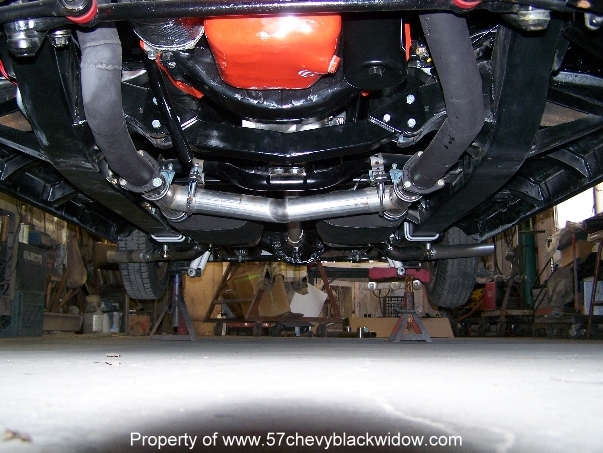 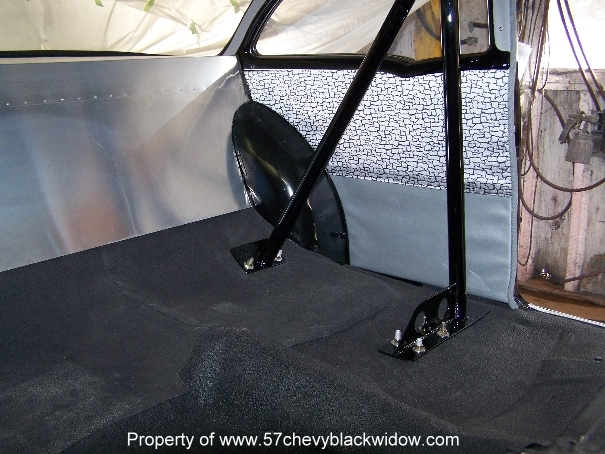 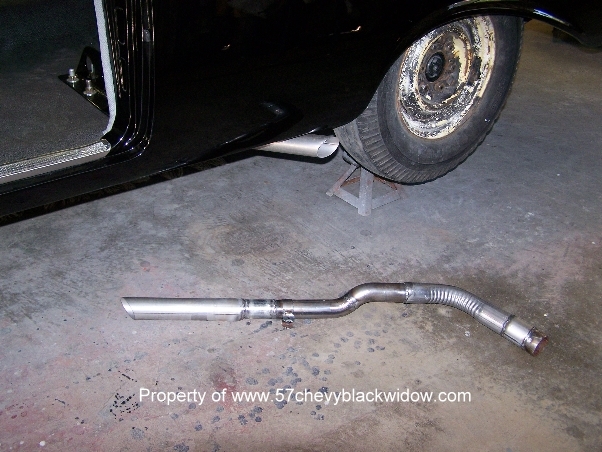 Photo #605 you see the shifter setup completed and in #606 is the "Black Widows" roll bar setup completed.